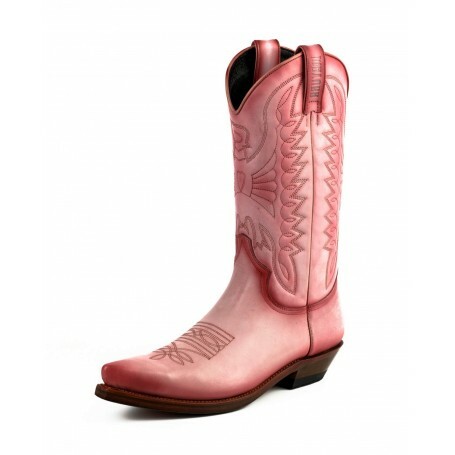 Cowboy style boot "Vintage Look"
Excellent urban model and excellent model for the country dance fans. Pink color, soft leather with "vintage" effect, hadmade finishing. With abrasive leather sole to get a maximum adhesion and manufactured with the Goodyear Welted System that guarantees excellent comfort and durability of the boot. It is a classic model updated to use timeless.